Zopper Retail is a GST compliant point-of-sale solution that includes CRM, Invoice, and Stock Management for Desktops, Laptops & Mobiles etc. Since there are speculations among Indian Retailers that they may not be able to renew their Zopper retail POS service, the existing users are confused about figuring out the best alternative for Zopper that is affordable, user-friendly and can be used on any device or location. Easy Retail For You - eR4u POS is GST compatible and built with more features available in different versions to conduct and improve your retail business efficiency with the software same as zopper. The users of Zopper Billing Software don’t need to be disappointed because the eR4u Premium Software with more advanced features at a lower price in comparison to Zopper Retail POS. eR4u can be used on multiple stores and by numerous users. It also consists of a loyalty point system which potentially engages your buyers to choose your business that will take your retail store to another dimension of success and customer satisfaction. 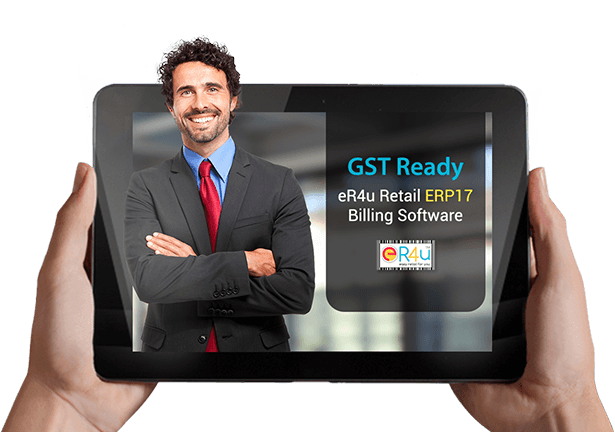 eR4u retail point of sale is the leading software for Retail Stores [Electronics, Supermarkets, Footwear, Furniture, Clothing & more]. eR4u POS is totally secure and personal zopper billing alternate. You can also use it to avoid overstock and wastage. eR4u - Zopper Retail Substitute is commercially built as it can be deployed with multiple retail businesses. It assists retailers in exchange for money, staff guidance and progress of the business. Enhance your business faster and operate in multiple shops effortlessly. eR4u POS software computerizes a series of actions of focusing and satisfying fixed and new shoppers by making it possible to send special offers via SMS and prompt them frequently with the help of Easy Retail For You.